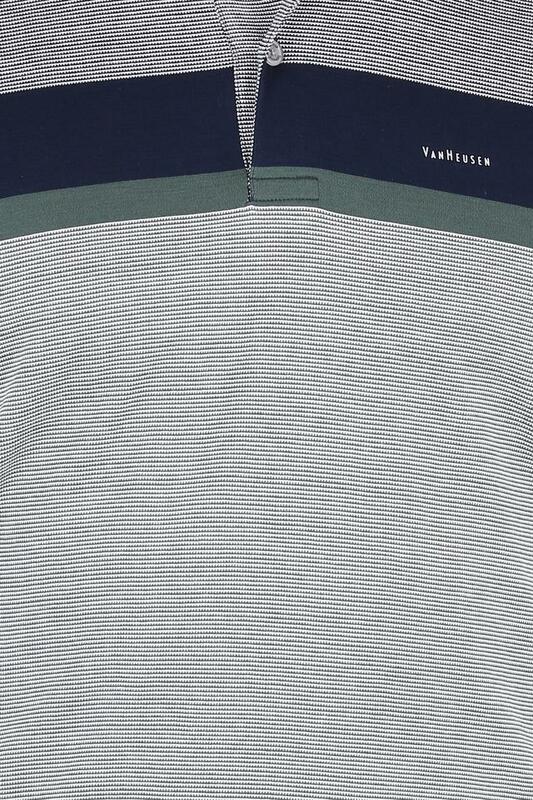 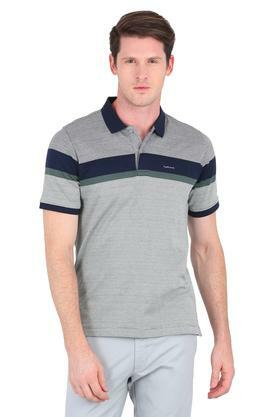 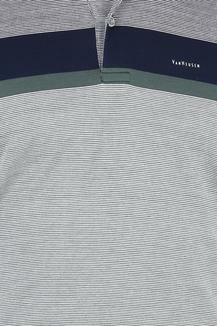 Keep your casual look simple yet stylish as you wear this polo t-shirt from Van Heusen. 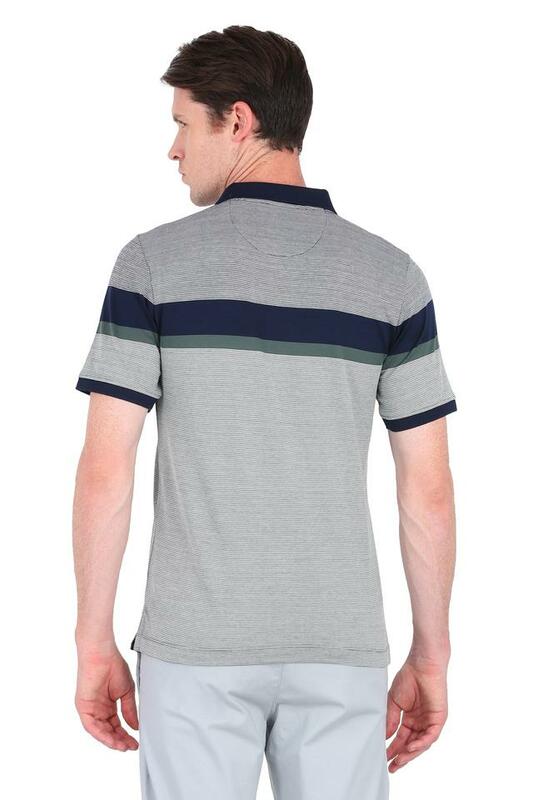 Made of good quality fabric, this t-shirt will lend you a smart look all day long. 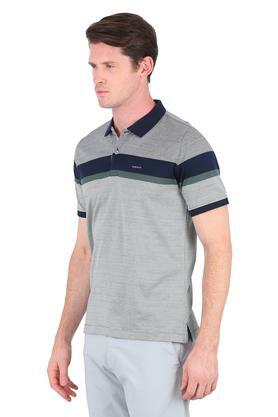 Crafted with unique design this short sleeves, colour block polo t-shirt comes with the perfect fit which adds to its design. 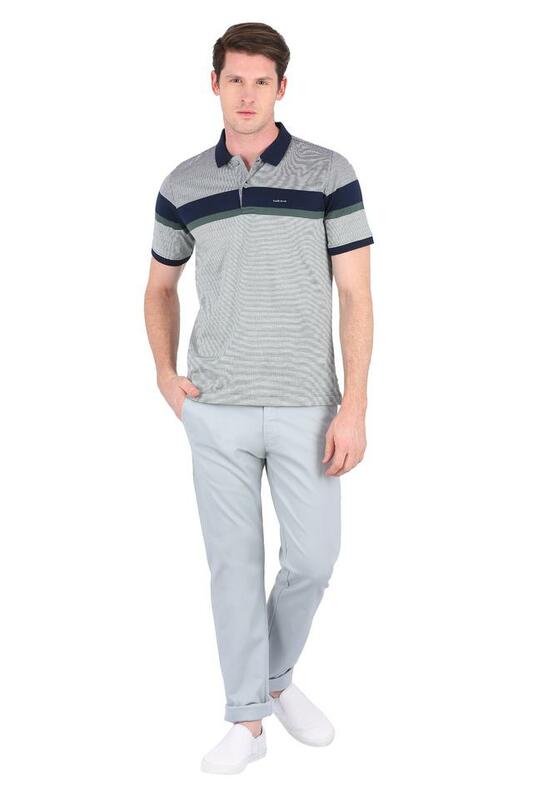 Keep your look lively as you wear this polo t-shirt. Team this polo t-shirt with chinos and loafers for a trendy look.